3 Varieties of Gym Jackets That Can Enhance Your Workout Experience! There is a huge variety when it comes to jackets but only few are suitable for workout. When you exercise during the colder months, you need to keep yourself warm. For this you need jackets that can provide you the required warmth as well as the comfort. If you are looking for the right gym jacket, then here is the list to let you know what types are the best for you. 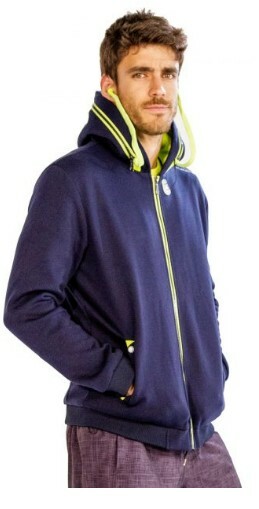 Hoodies can be the perfect workout jacket with a zippered front and a hood to cover your head. Hoodies are flexible and hence support the muscles while you perform exercises. These are also available in many colours and prints that will brighten up your day as you start your workout session. The sports clothing manufacturers are coming with a wide variety of hoodies. You will also love the vibrant sublimation hoodies. If your workout routine is scheduled at night after work, then you must wear a fluorescent jacket. Outdoor workout can be quite risky and you must be visible to the vehicles that run at night. The gym jacket manufacturers craft high visibility stylish gym jackets that will keep you safe at night. The high neck pullovers for men are also quite popular. These are comfortable and easy to carry. Made with moisture wicking fabrics, these pullover jackets are perfect for endurance exercise when you both comfort and warmth. Usually these jackets are full sleeve and have a slim fit. When you need the type of gym jackets that will offer you style, comfort and manliness, then pullovers can be your first choice. So, if you are looking for high quality gym jackets, look for one of the above jackets that will ensure your comfort and style. Previous PostAchieve A Dashing Look With Long-Sleeve Men’s T-Shirts And Sleeveless CardigansNext PostIf Your Gym Clothes Have These Five Qualities, They Are The Best!